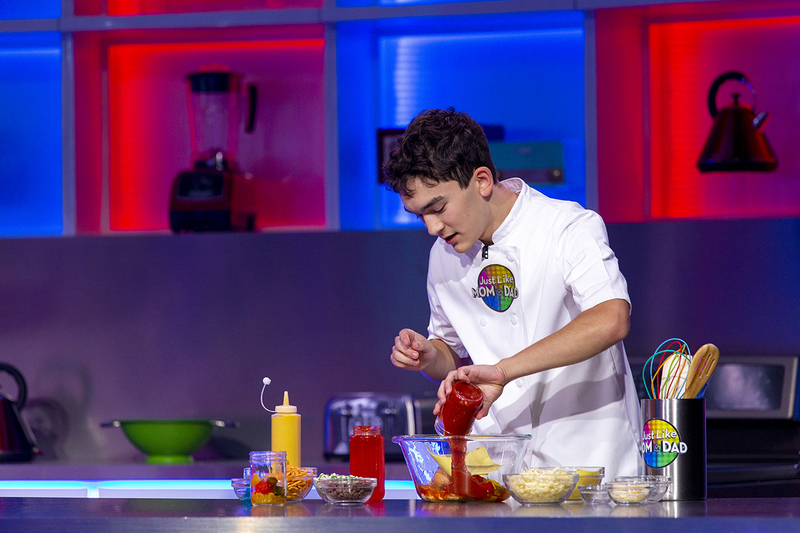 PLAY SEASON 2 EPISODE 20 AT HOME! 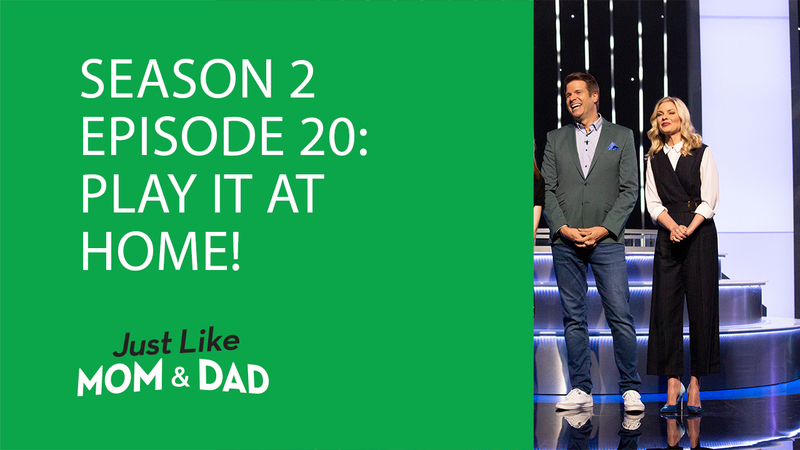 Episode 20 of Just Like Mom and Dad aired last night, and we're excited to give you everything you need to play this fun-filled family game in the comfort of your own home! 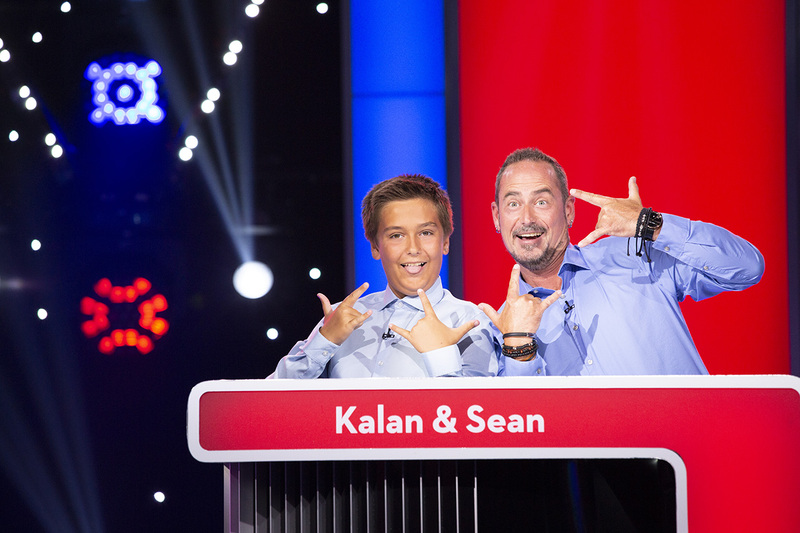 Round 2: The kids will leave the room, and the host will ask each parent some questions. After the questions are asked, the kids will come back into the room and try to match their answers with their parents' answers to the same questions. Each correct answer is worth 10 points. Using this week's recipe (plus a few added ingredients of your choice), the kids have 60 seconds to whip up their own version of the recipe. After their creation is done baking, the parent who can match the treat with the correct baker gets 50 points. The team with the most points at the end wins! Who in your family does your parent do the best imitation of? Batman got his name because of his fear of bats. So based on your parent’s fears, what would his or her superhero name be? What’s one story your parent tells that he or she always exaggerates? When your parent is victorious at something, how does he or she celebrate? What would your parent say is the toughest part of his or her day? If your parent were to teach a class of any kind, what kind of class would it be? When was the last time your kid over-analyzed something? If your kid could remove any class from his or her school schedule, which class would it be? What would your kid say is a weird food quirk you have? If your kid could play any villain on Broadway, which would it be? 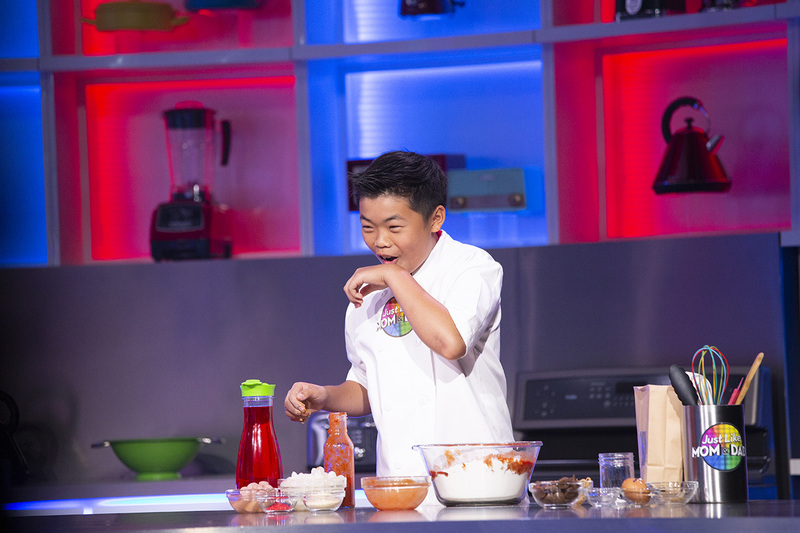 If your kid had to smell like one food for the rest of his or her life, which food would it be? If your kid could be any Avenger, which one would it be? In a large bowl, beat 1/2 cup granulated sugar, the brown sugar, peanut butter, butter, and egg with electric mixer on medium speed, or mix with a spoon, until well blended. Stir in flour, baking soda, and baking powder until dough forms. Shape dough into 1-inch balls; roll in additional granulated sugar. On ungreased cookie sheets, place dough about 2 inches apart. Bake 8 to 10 minutes or until edges are light golden brown. Immediately press 1 milk chocolate candy in center of each cookie. Remove from cookie sheets to cooling rack. IF YOU MISSED EPISODE 20, WATCH IT BELOW! Next week, we'll have the questions and the recipe from Episode 21. 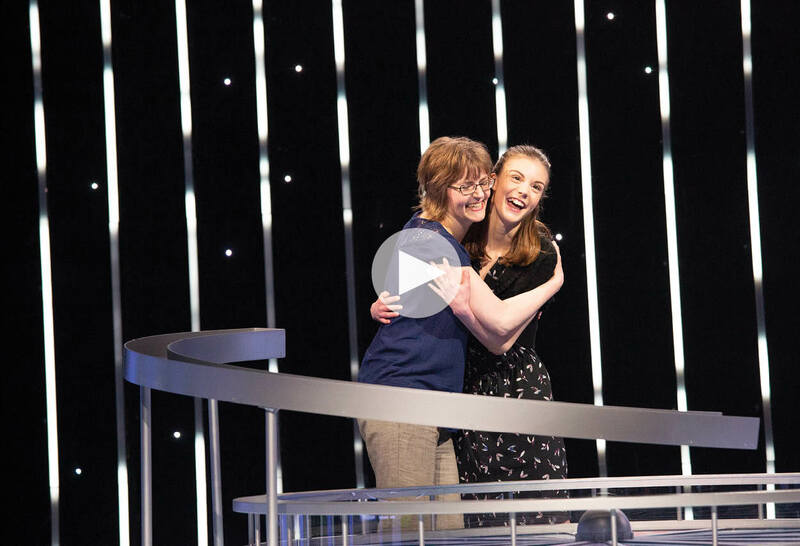 Meanwhile, play Season 2 Episodes 1, 2, 3, 4, 5, 6, 7, 8, 9, 10, 11, 12, 13, 14, 15, 16, 17, 18, 19, and 20 at home, where you can challenge your own family members!